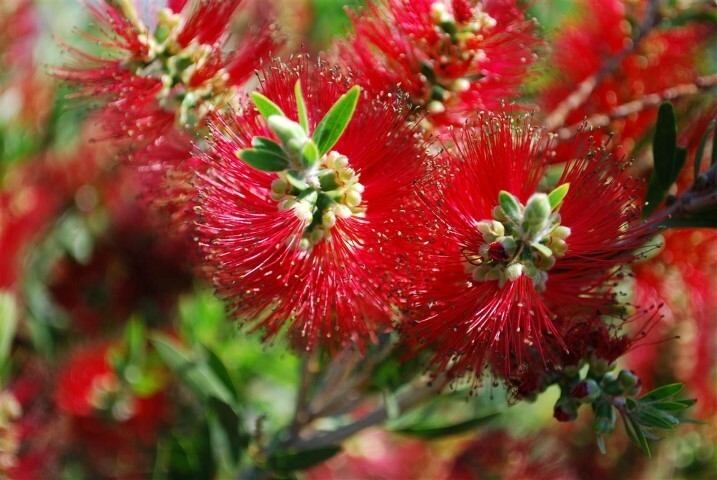 Now that we have our first Australian Saint, what better way to honour the work of this dedicated and very determined woman than to plant this easy-to-grow, 100% reliable, long flowering bottlebrush. 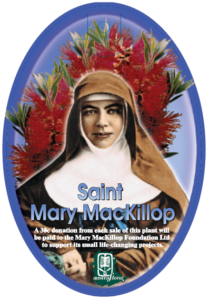 Every plant sold will contribute royalties to the charity that bears her name (details on the label). Vivid scarlet brushes entice mobs of honeyeaters all spring; the dense bright green foliage and soft new growth give protection and nesting sites for small birds. Planted as a mid-height hedge or screen, it thrives in cool to warm climates, likes full sun, doesn’t mind wet or dry soils, is seaside-friendly and is moderately frost hardy. Clip hard after flowering for a formal effect, or do an occasional trim for a more natural look.